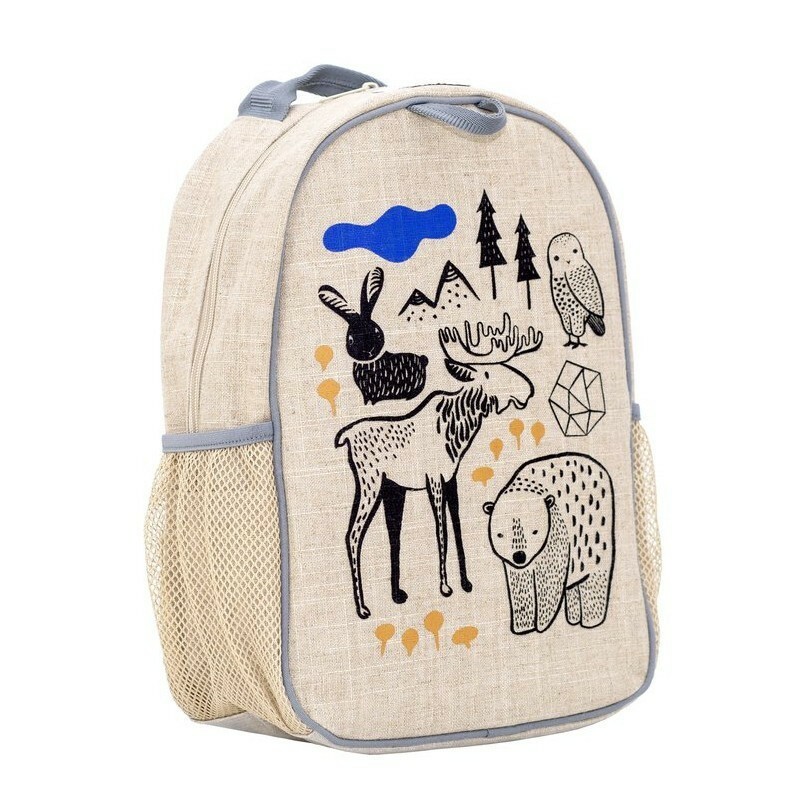 A large and roomy toddler backpack made with raw, uncoated linen. This SoYoung bag is BPA-free, PVC-free, phthalate-free and lead safe. Nordic animal design. Linen, which is derived from the flax plant, requires less pesticides and around 20 times less water and energy than other crops to harvest and produce. Quick dry, air dry only. Two insulated pockets on either side of backpack, for bottles or extra storage. 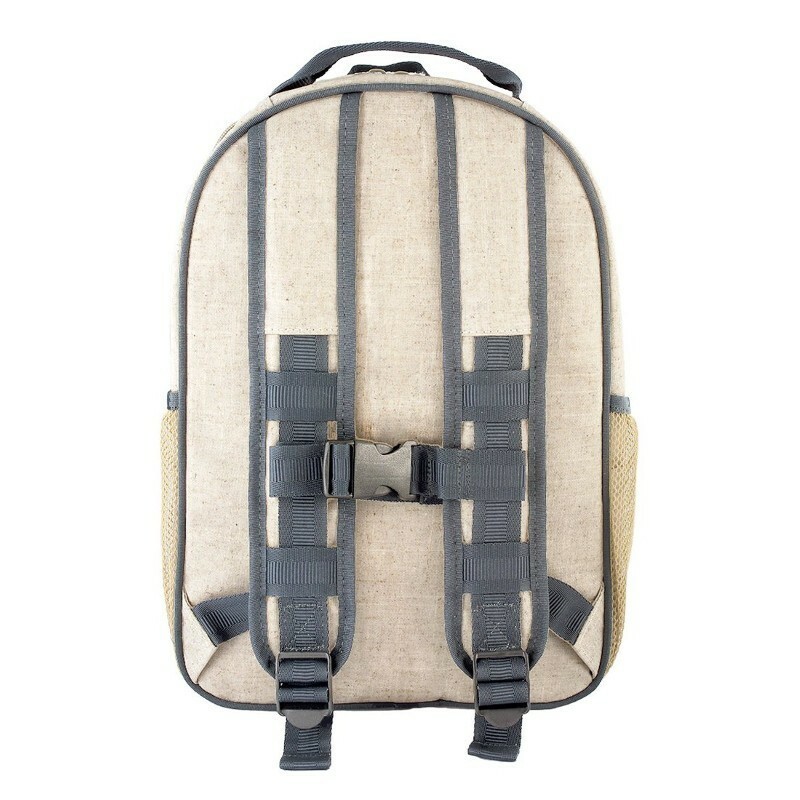 Lined nylon interior with zippered mesh pocket on the inside of backpack. Chest strap with clip, to keep the bag secure when running or jumping. Great size for young children (ages 6-11). 22.8cm W x 30.5cm H x 12.7cm D. Uncoated linen. 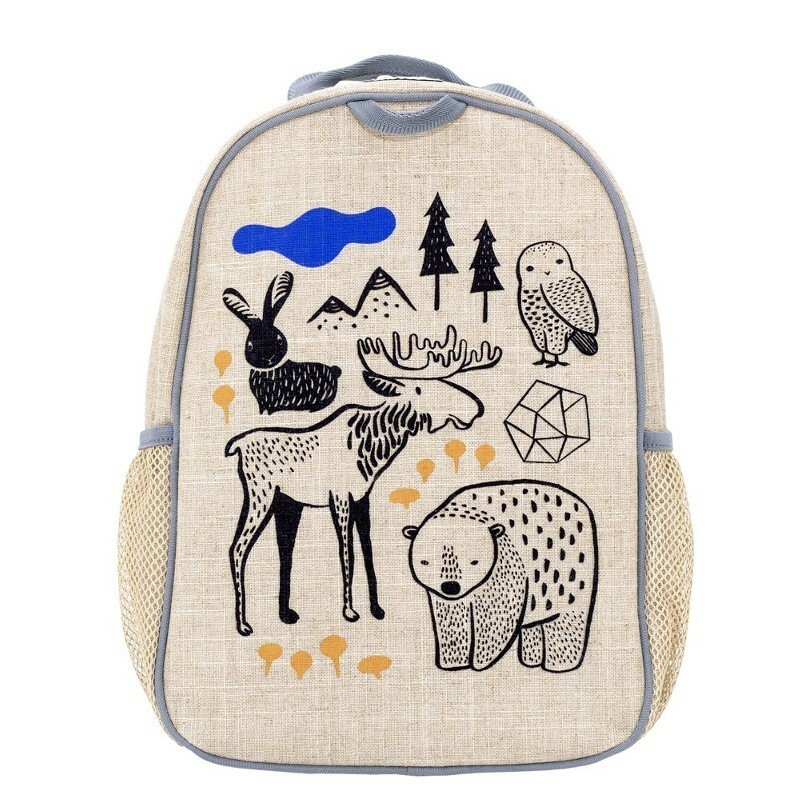 Browse all our back to school bags.